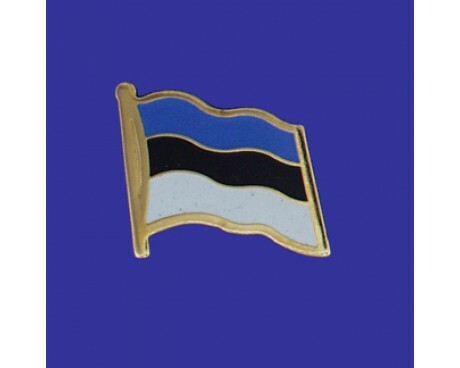 Estonia Stick Flag - 4x6"
The national flag of Estonia is a horizontal triband of blue, black, and white that dates back to the beginning of the nationalist movement that eventually led to the nation's independence. Estonia flags have been symbols of the Estonian people ever since, and the Estonian citizens have only stopped flying the flag when foreign occupiers have prevented them from doing so. Estonia flags represent the land and the people of that nation. 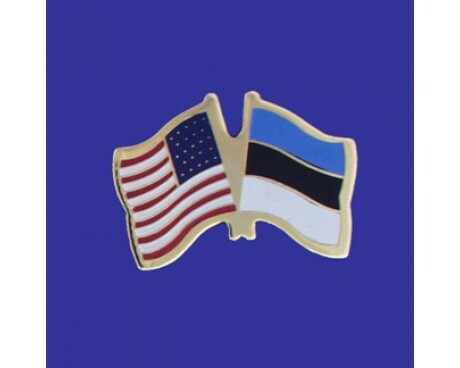 The upper blue band represents the sky over the nation, the sea that borders it, the ancient freedoms that the Estonian people have enjoyed. The black band represents the nation's soil and the independence that foreign powers have sometimes taken from it. The lower white band represents hope for the future and the work that it takes to turn that hope into reality. Some authors suspect that the flag's design came from the nation's forests in the depths of winter. The dark trees of the forest that are sandwiched between the snow and the sky bear a strong resemblance to the flag's pattern, and the forests themselves have sometimes been used to symbolize Estonia. The Estonian flag originated with a fraternity at the University of Tartu in 1881, and it soon came to represent that nation as a whole because the Estonian nationalist movement was popular among university students. Estonians started to use the design for its national flag as soon as it declared independence in February of 1918, although the government only formally recognized the flag near the end of the year. The flag fell out of use in 1940 when the Soviet Union invaded Estonia, banned the flag, and replaced it with a red flag similar to that of most other communist nations. The Estonian flag remained illegal until the last few years of the Soviet Union, when Estonians started to fly the flag illegally and the Soviet government was unwilling to press the issue. The ban on the flag ended in 1990. 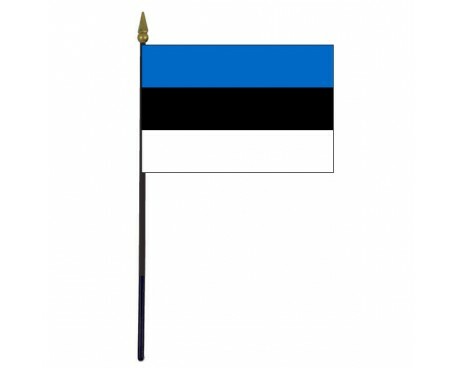 It has served as a symbol of Estonia ever since.